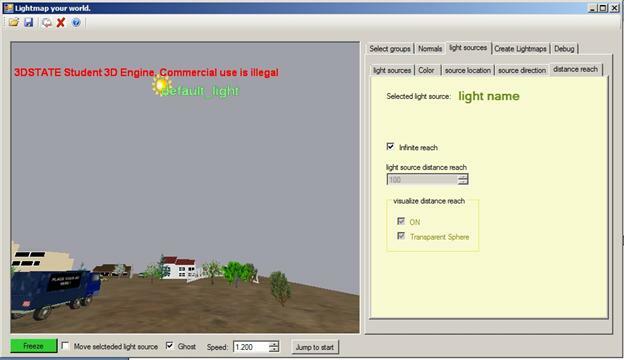 The purpose of the Lightmap application is to easily generate lightmaps for any 3D world. This tutorial will walk you through the steps needed in order to generate nice lightmaps for your 3D world. Lightmapping is a technique that improves the visual quality of 3D worlds dramatically. 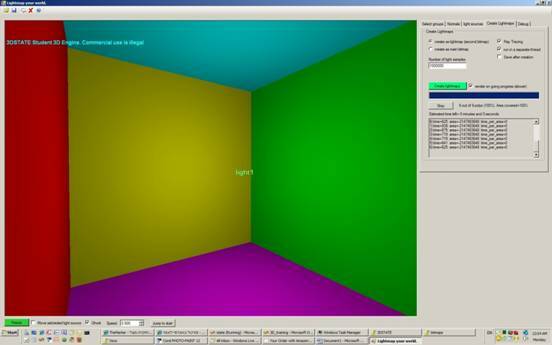 Here is a simple room built from 6 polygons each in a different color. Now here is the same room after we added lightmaps. Here is another example: We dragged and dropped a few 3D models (first picture). Then we used the lightmap application to add lightmaps. How are lightmaps implemented ? Every polygon in our 3D world could have an additional bitmap that includes its lighting information. The lighting information is calculated according to the light sources defined for the specific world. Each light source could have a different color and strength as well as other properties. 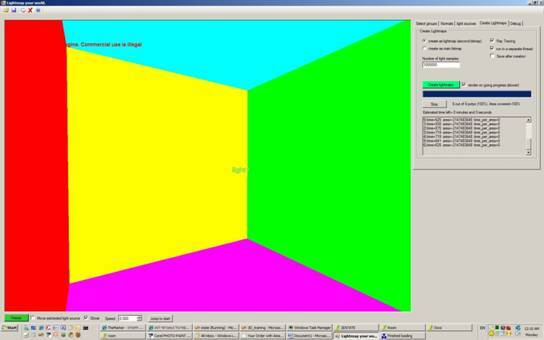 When the 3D engine renders the 3D world it merges the polygon color/bitmap with the polygon lightmap bitmap. So actually this application automatically generates an additional bitmap for each polygon containing its lighting information. If we have 100 thousand polygons in our world and we generate lightmaps for all of them then we will generate 100 thousand additional bitmaps ! That’s a lot of bitmaps. The good news is that usually these bitmaps are very small so that 100 thousand lightmaps could be grouped into around 5 large 1024x1024 bitmaps. These bitmaps will contain the lighting information of the entire world ! There are many free 3D worlds on the internet. Since the Lightmaps application currently accepts only 3DSTATE file formats, you can use the 3DS to 3DSTATE converter. You can also use 3DSTATE Worldbuilder or 3D1.org 3D Editor to create your own worlds. 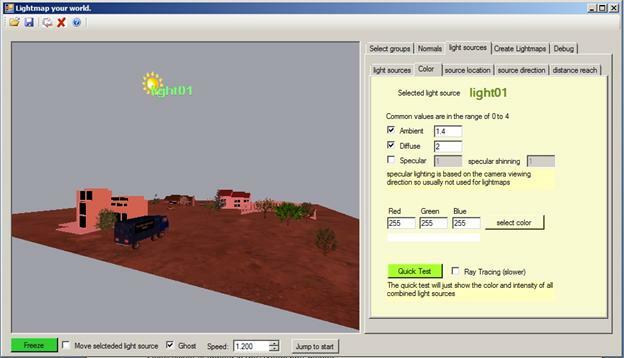 Once we load our world into the Lightmaps application, we can then define the location of the light sources. In this tutorial we will do a step by step walk through. · Use A,Z to tilt the view up or down. Use the Q key to look straight. If you are lost in space and you don’t find your world, press “Jump to start” then press the Q key to straighten the viewing direction then if you still can’t see anything, it means your world is behind you so turn left or right till you see it. · The Ghost checkbox (at the bottom) is checked, you can fly through walls and objects. Try moving inside your 3D world before continuing. In our example we will create Lightmaps for all the polygons in our 3D world. So simply click on the checkbox to select all as shown in the drawing above. 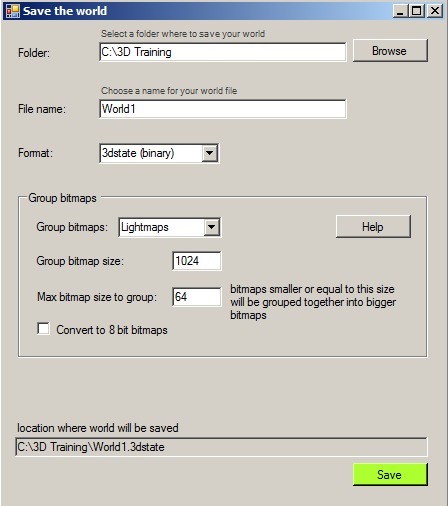 Note that to select parts of the world which need to be lightmaped you can select from the group tree or simply click on the 3D image. To select a single polygon, hold the shift key down while clicking the 3D image. It is important to remember that you can create lightmaps for selected parts of the world. 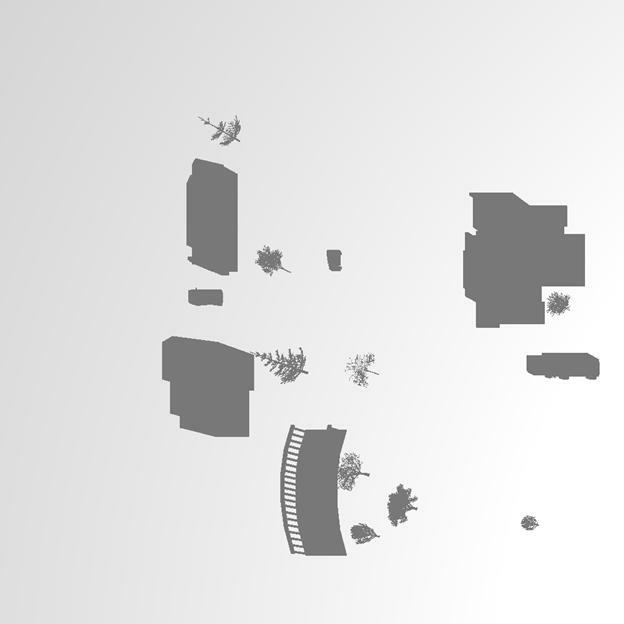 The size of the lightmap built for each polygon is according to the polygon size. So if we have a 3D world containing for example a huge terrain and a few buildings on the terrain, we would probably want the shadows details for the buildings to be very accurate. But if we simply create lightmaps for the entire world, the terrain would receive the big portion of our lightmap budget and little would be lift for the buildings. In this case we should do the lightmap for the terrain separately (or use regular lighting for the terrain). This way we can make sure that the parts in our world that need to look good, will have big enough lightmaps associated with. In the first tab you can create/delete/disable light sources. You can create as many as you need. The only disadvantage of creating many light sources is that the lightmap generation process will be slower. In this tutorial we will simply use just one light source as the sun. 3.2) Go to the Color tab. Each light source has two important components: Ambient and Diffuse. The ambient light is the background light while the Diffuse light emits from the light source itself. Ambient light is the “available light” that has nothing to do with the light source itself. All parts of the world will be lit by the ambient light (whether there is a direct line to the light source or not). Specular lighting is usually not used for lightmap generation. How do you know whether you have the right Ambient/Diffuse values ? If after you generate lightmaps, your world becomes too dark, it means you need to increase the values for the Ambient and Diffuse components. If the light source effect is not noticeable enough, you need to reduce the ambient light and increase the diffuse light. If the result looks good you have the right values. Note that if you define several light sources, you need to decrease the ambient/diffuse for each of them as not to have too much light. 3.3) The “Quick Test“ button. This button help you see whether your Ambient/Diffuse settings are too dark or too bright. Generating lightmaps could take a lot of time. Before you start this process you want to know that you have the right values. Fly inside the 3D till you get to the location where you want position the light source. “Set light source location equal to the current viewing” button. To fine tune the location of the light source, check the “Move selected light source” checkbox (at the bottom right of the application window, see above screenshot). In our example, it doesn’t really matter where you put the light source. Put it somewhere high so it can simulate the sun lighting. Sometimes we might want to limit the effect of a specific light source to a certain radius. For example, a street light should effect its near surrounding and should not affect the entire street. In this stage we will create the lightmaps. 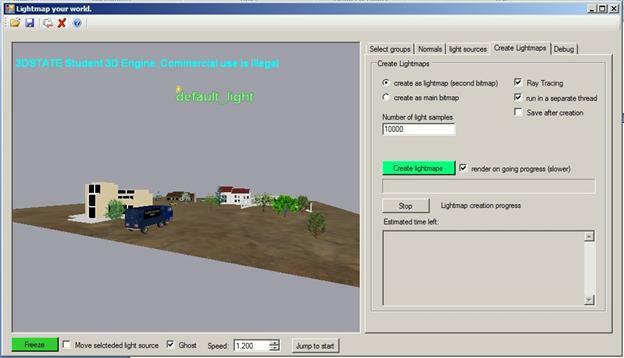 Select the “Create Lightmaps” tab. This is the number of lightmap pixels we will generate during the process. The default is 10,000 which is very low. The bigger this number is the better are the generated shadows/lightmaps. The price we pay when we increase the number of samples is the time that it will take to generate the lightmaps. 1 million lightmap samples is a reasonable number. Also, 1 million lightmap samples could be stored in a 1024x1024 bitmap. The direction of the shadows in your world could be different depending on where you positioned the light source. 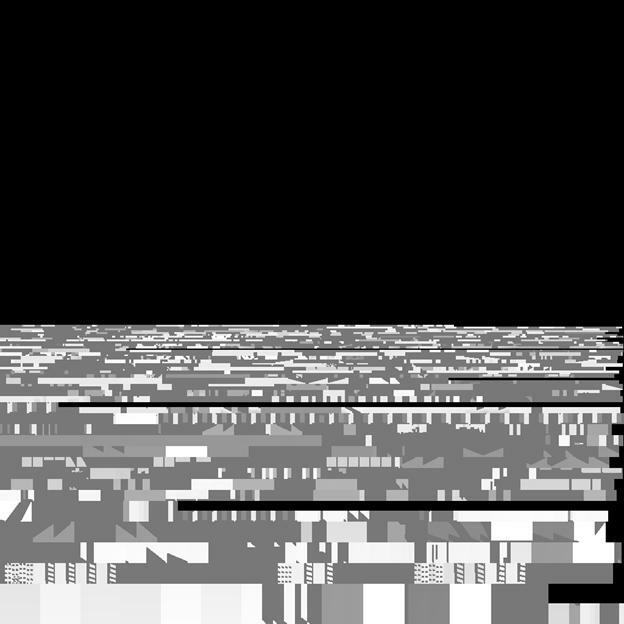 The good news is that we can group all these small bitmaps in one or two big bitmaps. This will make our world look better and fast. To do so, click on the save icon at the top left of the application window. When creating lightmaps, a lightmap (a bitmap) is created for each polygon. These bitmaps can be very small (1x1 or 4x2 etc ...) So if we have 100000 polygons in the world, we will now have additional 100000 lightmaps. This could slow down rendering dramatically. We can group these small bitmaps together. A regular 1024x1024 bitmap can store 1 million 1x1 lightmaps !!! So instead of dealing with 1 million files, the 3D Engine and graphics card take care of just one 1024x1024 bitmap ! Usually of course we the lightmap bitmaps will have different sizes. This utility will squeeze them all into bigger bitmaps. "Max Bitmap Size To Group"
We might want to leave some relatively big bitmap separated and not part of a bigger image. To make the grouped lightmap bitmaps take smaller size we can convert them into 8 bit color space. This is ok if we just group together lightmaps since they will usually be in grey scale. If however we use several sources of light in different color then 8 bit color space would compromise color accuracy. 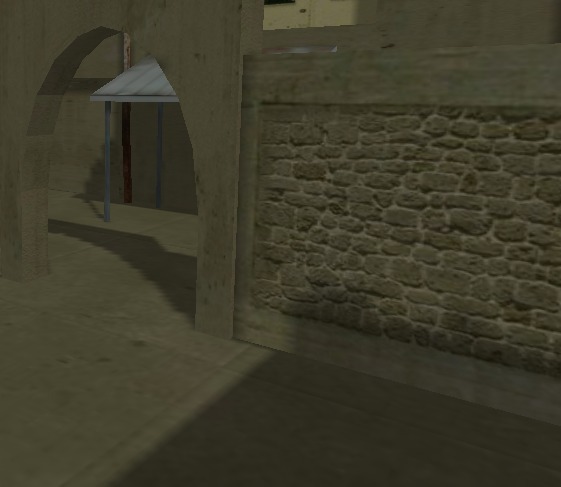 Let’s go to where we saved our 3D world with the grouped lightmaps. This lightmap, contains around 4000 tiny lightmaps together. It looks like garbage memory but it is not. The 3D engine can map the relevant fraction of the lightmap to its owner polygon.